Chandigarh: Lawyer turned politician Advo. H S Phoolka has written a letter to Punjab CM Amrinder Singh asking him to table the inquiry report related to Saka Nakodar 1986. The report of inquiry conducted by Justice Gurnam Singh on the request of the then Punjab government was snubbed by successive governments in Punjab, including that of Amarinder Singh from 2002 to 2007. 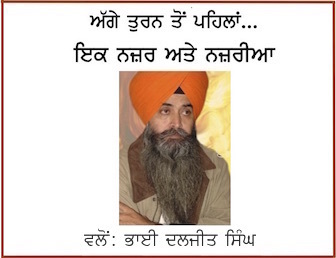 As the present government had tabled Justice Ranjit Singh Commission’s report about the incidents of beadbi in Punjab and the police firing on Sikh sangat at Behbal Kalan, in the Punjab assembly during last session; the pressure is mounting on it to table the report that was submitted by Justice Gurnam Singh back in 1987. Subject: Tabling of report of Justice Gurnam Singh (Retired) Commission of Inquiry into Nakodar killings submitted in March 1987 and subsequent action. This is to bring to your kind notice about the suppression of Justice Gurnam Singh report of Commission of Inquiry which was submitted in March 1987. Unfortunately and in total violation of law, this report has not been tabled in Punjab Vidhan Sabha yet. You would recall that on August 28, 2018, during the discussions on the incidences of sacrilege of Guru Granth Sahib and police firing at Behbal Kalan in the Punjab Vidhan Sabha, I had referred to a similar incidence of sacrilege and police firing in February 1986. This incident had happened while you were serving as Agriculture Minister in Surjit Singh Barnala’sAkali Dal government and that government had ordered judicial Enquiry. 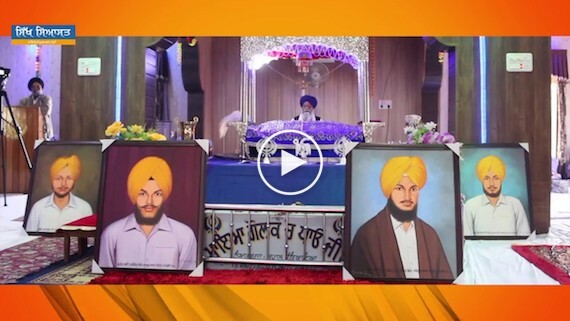 A major incident of sacrilege had taken place on February 2, 1986 as five Sirs of Guru Granth Sahib were gutted by fire at Guru Arjan Dev Gurdwara in Guru Nanak Pura Mahalia and it was widely suspected that it was a mischief. However two days later on February 4, 1986 police fired on peaceful protectors marching towards the Gurudwara and four Sikh boys Ravinder Singh Littran, Baldhir Singh Ramgarh, Jhilman Singh Gorsian and Harminder Singh Chaluper were killed and several persons sustained injuries. 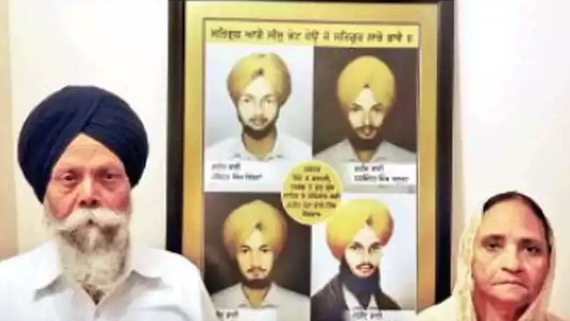 As per witness statements, media reports and International Human Rights Organisation Report “A Mischief at Nakodar” victim Harminder Singh Chaluper was allegedly murdered while in police custody. Notably, the FIR recorded by then Nakodar SHO Jaskirat Singh Chahal had also mentioned that Harminder Singh was injured in police firing. The IHRO panel headed by Advocate Dev Raj Sharma in its report had held that persons participating in the procession were peaceful and unarmed. After prominent Akali Dal leaders including MLAs S. Kuldeep Singh Wadala and S. Surjit Singh Minhas protested along the people and even sat on a dharna in front of the police firing, the state government had constituted Justice Gurnam Singh Commission. Then Jalandhar SSP lzhar Alam was transferred and three police officials SP (detective) Surjit Singh, Nakodar DSP Gopal Singh Ghuman and inspector Harinderpal Singh were placed under suspension following the protests. Justice Gurnam Singh Commission was to enquire into desecration of five Birs of Guru Granth Sahib at Guru Arjan Dev Gurdwara in Guru Nanak Pura Mohalla on February 2,1986 ; police firing on Sherpur bridge which killed 4 Sikh young-men on February 4,1986 and cremation of dead bodies of four deceased against the Punjab government orders as police had cremated them without the presence of the families. 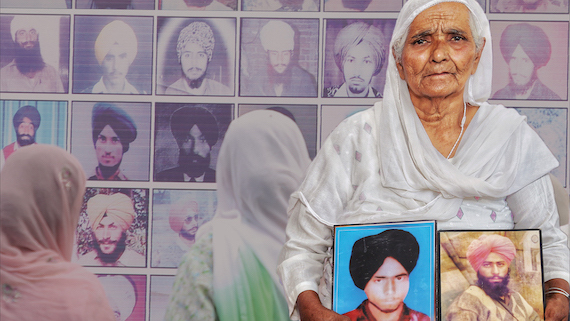 Justice Gurnam Singh Commission submitted its report to the Punjab Government in March 1987. The Branala Government never tabled the report in Vidhan Sabha. Later the President rule was imposed but the subsequent governments had failed to table the report in the Vidhan Sabha. Already 33 years have lapsed and no one has been brought to justice, which is shameful for any democracy. Families of the victims deserve justice and your government should end the denial of justice by the previous governments for all these years. I request you to table the report of Justice Gurnam Singh Commission in Vidhan Sabha along with the Action Taken Report (ATR) in the upcoming budget session of State Assembly. I also urge you to constitute a Special ·Investigation Team (SIT) for taking the case further and ensure justice while compensation for the victim families should also be announced.